In this Tutorial, we will introduce you to the common password cracking techniques and the countermeasures you can implement to protect systems against such attacks. Length: the number of characters the password contains. Complexity: does it use a combination of letters, numbers, and symbol? Unpredictability: is it something that can be guessed easily by an attacker? For this example, we will use the password strength indicator of Cpanel when creating passwords. The images below show the password strengths of each of the above-listed passwords. Note: the password used is password the strength is 1, and it’s very weak. Note: the password used is password1 the strength is 28, and it’s still weak. 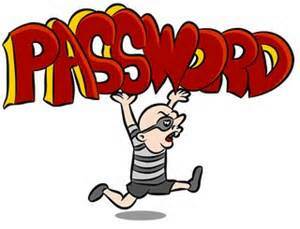 Note: The password used is #password1$ the strength is 60 and it’s strong. 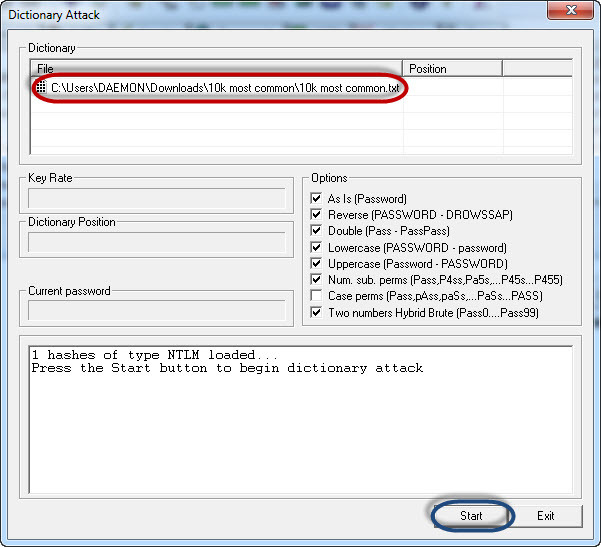 Dictionary attack– This method involves the use of a wordlist to compare against user passwords. Brute force attack– This method is similar to the dictionary attack. Brute force attacks use algorithms that combine alpha-numeric characters and symbols to come up with passwords for the attack. For example, a password of the value “password” can also be tried as p@$$word using the brute force attack. Rainbow table attack– This method uses pre-computed hashes. Let’s assume that we have a database which stores passwords as md5 hashes. 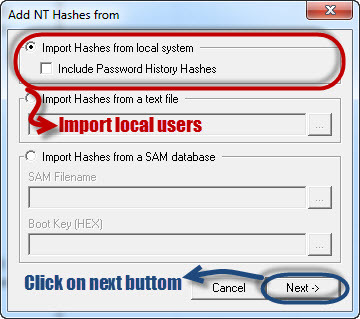 We can create another database that has md5 hashes of commonly used passwords. We can then compare the password hash we have against the stored hashes in the database. If a match is found, then we have the password. Guess– As the name suggests, this method involves guessing. Passwords such as qwerty, password, admin, etc. are commonly used or set as default passwords. If they have not been changed or if the user is careless when selecting passwords, then they can be easily compromised. Spidering– Most organizations use passwords that contain company information. This information can be found on company websites, social media such as facebook, twitter, etc. Spidering gathers information from these sources to come up with word lists. 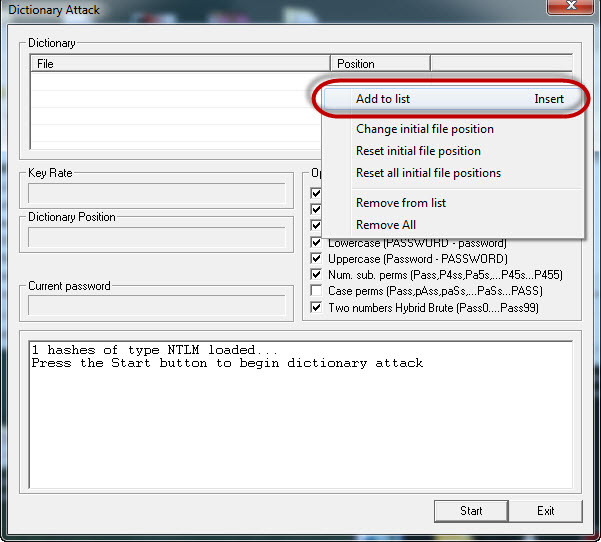 The word list is then used to perform dictionary and brute force attacks. John the Ripper uses the command prompt to crack passwords. This makes it suitable for advanced users who are comfortable working with commands. It uses to wordlist to crack passwords. The program is free, but the word list has to be bought. It has free alternative word lists that you can use. Visit the product website http://www.openwall.com/john/ for more information and how to use it. Cain & Abel runs on windows. It is used to recover passwords for user accounts, recovery of Microsoft Access passwords; networking sniffing, etc. Unlike John the Ripper, Cain & Abel uses a graphic user interface. It is very common among newbies and script kiddies because of its simplicity of use. Visit the product website http://www.softpedia.com/get/Security/Decrypting-Decoding/Cain-and-Abel.shtml for more information and how to use it. Ophcrack is a cross-platform Windows password cracker that uses rainbow tables to crack passwords. It runs on Windows, Linux and Mac OS. It also has a module for brute force attacks among other features. Visit the product website http://ophcrack.sourceforge.net/ for more information and how to use it. Avoid using passwords with predictable patterns such as 11552266. Passwords stored in the database must always be encrypted. For md5 encryptions, its better to salt the password hashes before storing them. Salting involves adding some word to the provided password before creating the hash. Most registration systems have password strength indicators, organizations must adopt policies that favor high password strength numbers. In this practical scenario, we are going to crack Windows account with a simple password. Windows uses NTLM hashes to encrypt passwords. 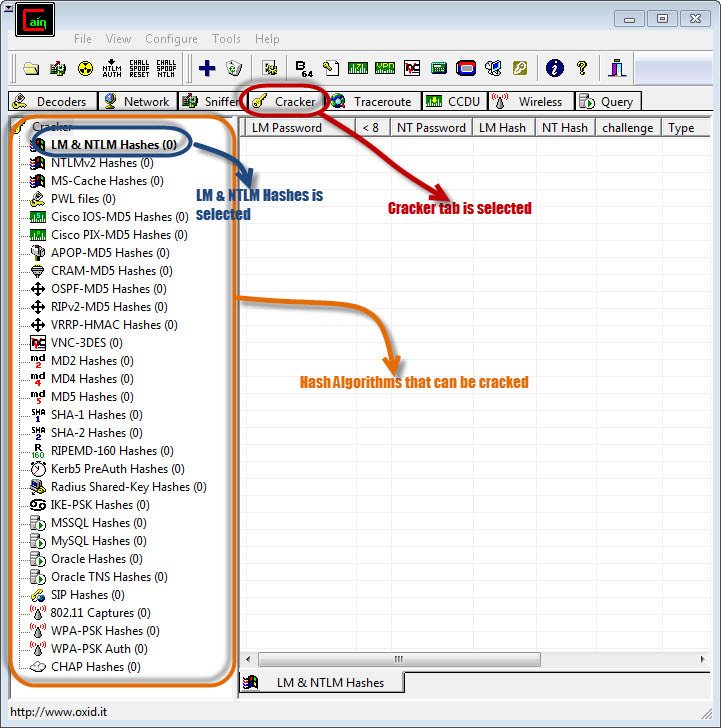 We will use the NTLM cracker tool in Cain and Abel to do that. For this demonstration, we have created an account called Accounts with the password qwerty on Windows 7. Click on the Add button on the toolbar. The local user accounts will be displayed as follows. Note the results shown will be of the user accounts on your local machine. Right click on the account you want to crack. For this tutorial, we will use Accounts as the user account. If the user used a simple password like qwerty, then you should be able to get the following results. Note: the time taken to crack the password depends on the password strength, complexity and processing power of your machine. 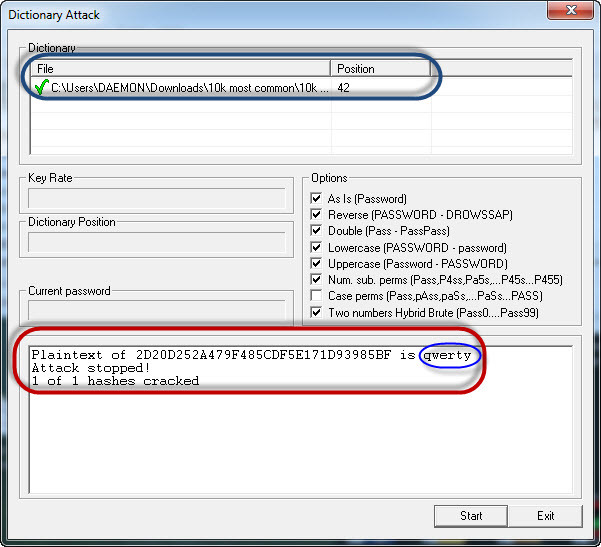 If the password is not cracked using a dictionary attack, you can try brute force or cryptanalysis attacks.